The chart above comes from Samsung's 2012 Product Solutions Guide (PDF) which lists part numbers of various memory parts they have for sale. 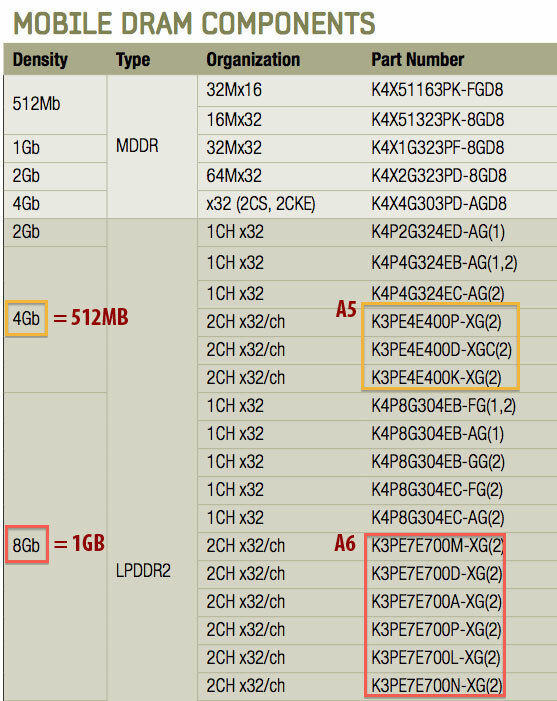 The iPhone 5's A6 part number lines up with the family of 8 Gigabit mobile DRAMs which translates into 1GB of RAM. 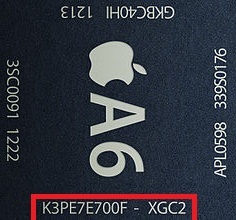 The A5 part family is also listed and accurately shows 512MB of RAM (4 Gigabit).